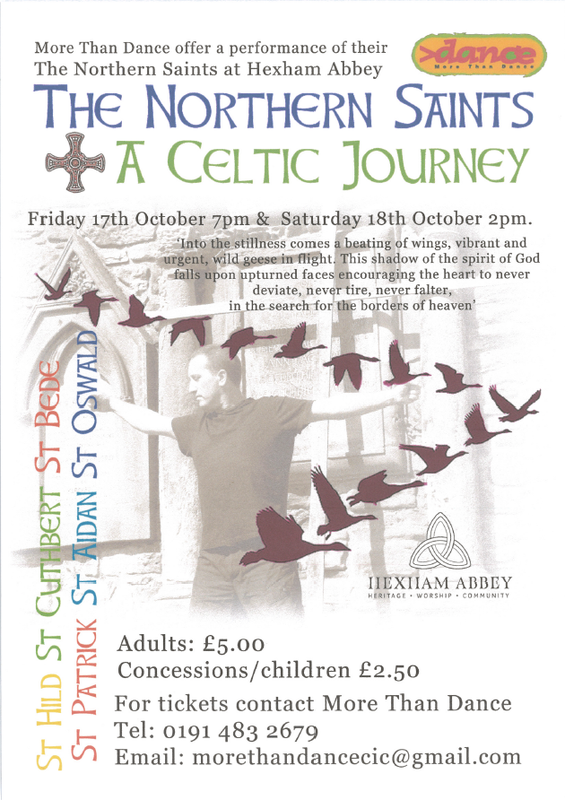 Over 20 children in Key Stage 2 have volunteered to take part in a festival which will showcase at Hexham Abbey on Friday 17th October and Saturday 18th October. The event which is organised by More Than Dance will offer our children the chance to perform in ‘The northern Saints – A Celtic Journey’ at Hexham Abbey. Tickets are available from More than Dance (see poster below) and also available from Mrs Walker-Thomas in school. The images below show our dancers making the necessary preparations for the event.